The technology is there for companies to inspect the SSL traffic going in and out of their networks, but performance, management and privacy concerns combine to hinder its adoption -- allowing cyberattackers to hide their malicious activity in the encrypted traffic. According to a new report by the Ponemon Institute, 41 percent of companies who were victims of a cyberattack said that the attacker used SSL encryption to hide their activities and to sneak data out of organizations. And this percentage is likely to rise, experts say. Encryption tools are already available to the savviest criminals, and it's only a matter of time before they are commercialized, made easier to use, and become widely available to attackers. "I've already seen some exploit kits with the options of using advanced encryption capabilities," said Chase Cunningham, director of cyber threat research at A10 Networks, which sponsored the Ponemon report. But only 36 percent of security professionals say that their enterprises are capable of levering SSL encryption and inspection, according to the report. Instead, the majority, 61 percent, said that they don't decrypt SSL traffic because of the potential performance hit on their networks. In addition, 47 percent pointed to a lack of security tools and 45 percent cited insufficient resources. "There's a misconception that if they start looking at SSL traffic, that's going to be half the traffic in their network," said Cunningham. "If they start looking at it, that it will slow down the network enough to cause performance degradation." Plus, managing SSL certificates can be a cumbersome chore, he said. That's a problem, because more and more legitimate traffic is getting encrypted, including many of the public online services used to exfiltrate data. That means that the attackers and malicious insiders don't even have to do anything to benefit from the encryption -- the encryption is already there. 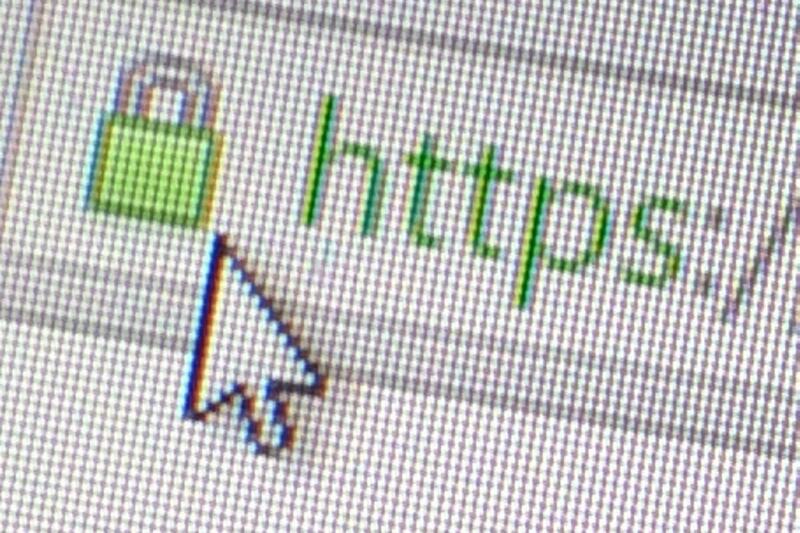 Some 70 percent of global Internet traffic will be encrypted this year, according to a report released this past spring by networking vendor Sandvine. And the main reason why the rest of the traffic isn't being encrypted is that it's streaming videos. In the enterprise, most security executives report that between 25 and 50 percent of their network traffic is encrypted, and more than 80 percent said that they expect both inbound and outbound encrypted traffic to increase over the next couple of years, according to a study recently released by IDC and F5 Networks. In particular, many popular online collaboration and file sharing tools have built-in encryption, and are often used by both insiders and external attackers to exfiltrate information. That means that most of the money that companies are spending on security is being wasted, said Kevin Bocek, vice president of security strategy and threat intelligence at Venafi. Next-generation firewalls, sandboxes and behavior analytics tools are only a quarter as effective as they should be if three quarters of the traffic is encrypted and just slides past them, he said. Meanwhile, initiatives like Let's Encrypt have reduced the cost of encryption certificates down to zero, he added. "That creates a dangerous scenario." He said that Venafi customers have reported finding almost 16,500 unknown TLS or SSL keys and certificates. "That's encrypted traffic that wasn't even known about. And keys and certificates are growing at least 20 percent year over year." The problem will get worse before it gets better, he said. "It's a blind spot that we've continued to ignore." "When I ask organizations about their SSL traffic, they often don't know much about it," said Bradon Rogers, senior vice president for worldwide sales engineering at Symantec. "And when they do know, between 50 and 75 percent of their traffic is SSL encrypted." And many companies are wary of deploying full-scale SSL inspection, even if they could, he added, because of potential compliance and privacy concerns related to seeing employees' credit card numbers, banking information, and medical data. "This is the difficult balance that organizations have to walk when deciding when to decrypt and when not to," Rogers said. However, A10's Cunningham said that companies are already inspecting most plain-text communications, at the very least, to check for malware. "The absolute truth of the situation is that every time you as a user sign on to the system, you sign off on something that says that your company has the right to inspect your traffic," he said. "They need to look at that traffic to see if there's malicious activity taking place -- to protect users and protect data." Companies should not be afraid of extending that same level of monitoring to encrypted traffic as well, he said. "But people are so afraid of doing what they said they will do." Meanwhile, proxies and gateway technologies have become a lot better, with configurable policies that allow companies to make distinctions between potentially malicious traffic and that related to confidential information. Plus, they've improved quite a bit in reducing the performance impact and management challenges. A10, for example, offers appliances that take care of the pain of managing SSL certificates and take on the CPU-intensive encryption and decryption tasks so that the dedicated security devices on the network aren't slowed down. Both incoming and outgoing traffic is decrypted, sent to the security devices for inspection, and then encrypted again. Blue Coat also offers an SSL decryption product. Its gateways can selectively inspect traffic based on destinations, can support 80 encryption mechanisms, and can feed the results through a data loss prevention system, a malware-detection sandbox, or an intrusion prevent system. Blue Coat's Rogers said that SSL inspection gateways did have a history of being difficult to manage, and of causing as much as an 80 percent performance hit to firewalls. But new tools and special-purpose appliances have a minimal impact, and are easier to manage, he said. In fact, SSL inspection gateways can actually improve network performance, said Bryan Fite, account CISO at BT Global Services. "You can't really compress and accelerate encrypted traffic," he said. "You first have to decrypt it." As a result, it's not just security vendors selling this capability -- wide area network vendors are also selling SSL decryption solutions for WAN optimization. According to Gartner, WAN optimization is an $815 million market, and unit shipment growth is predicted to increase by 12.4 percent through 2019. However, total revenues will actually drop, according to Gartner analyst Bjarne Munch, because of increased integration with routers, aggressive pricing by companies like Cisco, and a general commodization of the market. The financial services industry is ahead of everybody else on this front, said BT's Fite.